PHILADELPHIA (WPVI) -- Philadelphia Police are asking for the public's help tracking down a robbery suspect. 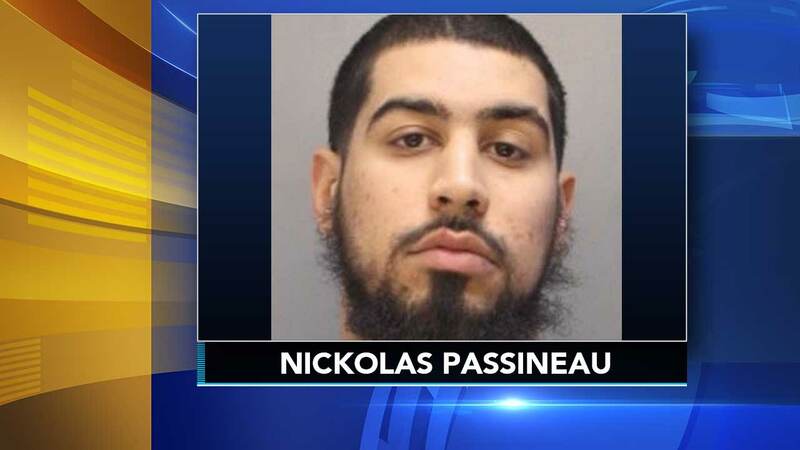 26-year-old Nickolas Passineau is wanted in connection with a robbery that happened just before noon on February 22 in the 800 block of East Hunting Park Avenue. Passineau is described as 5'11" and 220 lbs. His known address is on the 3000 block of Hartville Street in Philadelphia. Investigators say he may be driving a red 2003 4-door Buick Century with Pennsylvania registration KNY-4636. Passineau is known to frequent the areas of the 5500 block of Marshall Street, 5500 Miriam Road and 5th and Tabor streets in Philadelphia. Anyone with information about his whereabouts is asked to contact the Philadelphia Police East Detective Division at 215-686-3243, or call 911.